Each year I start thinking ahead about fun homemade Mother’s Day gifts. I feel strongly about giving attention to mothers, because I know how hard they work. And now that I have a child of my own, I especially realize the importance of honoring moms on this special day! Do you have a mother who deserves to be doted on this year? Browse this list for gift ideas you can make yourself, and some you can purchase if you don’t like to DIY. 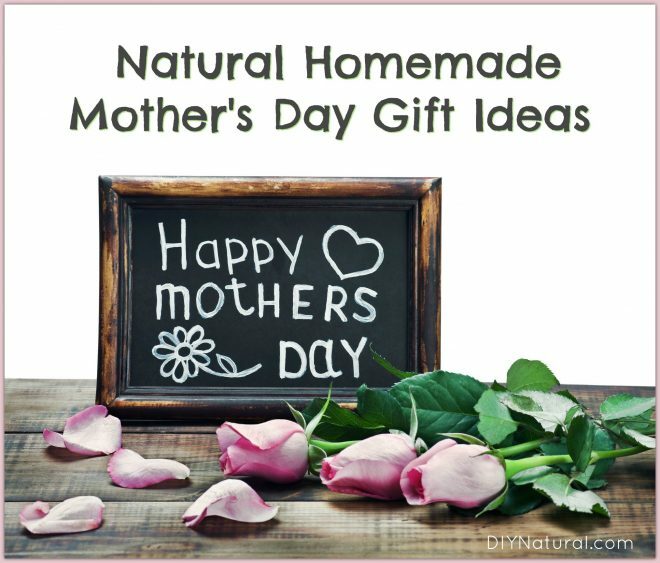 Give one of these individual ideas or combine gifts from each category to create a special gift basket with items you know your mom will love! Gardener’s Hand Scrub – This is perfect for the mom who likes to get her hands in the dirt. Make this simple Gardener’s Hand Scrub recipe and bundle it with a new pair of gardening gloves made from bamboo. Oatmeal Lavender Bath Soak – If you’re in serious need of a thoughtful gift that takes only a few minutes to put together, this Oatmeal Lavender Bath Soak will fit the bill. Your mother can pamper herself with a relaxing soak and reminisce about all the years she never had enough time (or privacy) to soak in the tub. 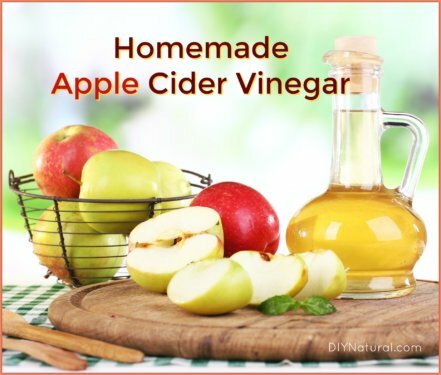 Natural Moisturizing Body Wash – If your mom isn’t really a bath person, she may enjoy this awesome Homemade Moisturizing Body Wash in the shower. You can personalize the scent with essential oils to make it just the way she would like it. For the Lips – Lip products are always fun to experiment with, and this Lavender Lemon Lip Scrub will leave lips soft and moisturized. These Homemade Lip Balms are fun to make and get used up quickly in our house! Homemade Body Cream or Body Butter – If you have a natural mama, she may appreciate some Homemade Herbal Body Cream, made with only natural herbs and ingredients. If your mom loves roses, you can find the recipe for our super simple Rose Whipped Body Butter here! Decadent Homemade Body Scrubs – If your mom is a coffee lover she may appreciate this Hazelnut Coffee Sugar Scrub, perfect for exfoliating and moisturizing. More of a chai latte fan myself, this Vanilla Chai Sugar Scrub is my fave. Homemade Chocolates – There are so many easy, healthful chocolate treats you can make in just minutes. Try our Naturally Sweetened Chocolates or Naturally Sweetened Chocolate Truffles. Natural Coffee Supplies – If your mom loves coffee, she might appreciate some organic coffee with our favorite stainless steel French press and Homemade Naturally Flavored Coffee Creamers. Natural Tea Supplies – How about one of these organic tea blends with a gorgeous new tea pot or tea ball? Sweet Sauces & Spreads – Our Homemade Healthy Chocolate Hazelnut Spread is great for any mom who loves sweets, or a Homemade (Naturally Sweetened) Caramel that can be made into candies or sauce. Whether your mom is brand new to using essential oils, or she’s been using them for a while, she may appreciate some good EO products. She can diffuse them into the air, use them in her beauty routine, or clean with them. 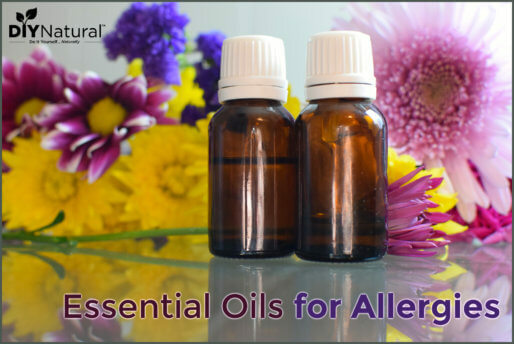 100% Pure Essential Oils – If giving essential oils to your mom, be sure to get oils that are 100% pure. Many brands are cut with cheaper oils, creating an inferior (and un-pure) product that won’t offer the same benefits. We like the quality and prices from this company, which also sources many of them organically. Classic EO Starter Set – Don’t know which oils to get Mom? Our favorite company has put together some of the most versatile and popular oils in a sample-size kit. Get it here. Essential Oil Diffuser – Diffusers are a great way to use essential oils for aromatherapy. You can get them almost anywhere now – this one is fairly priced and has good reviews on Amazon. 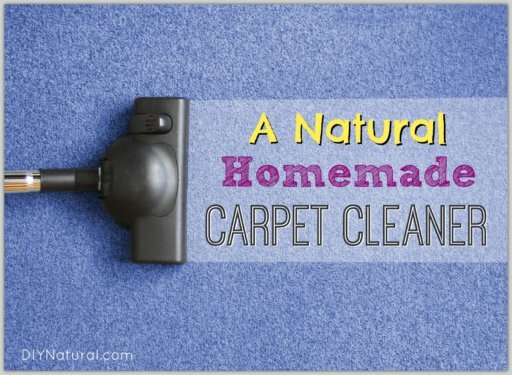 DIY Natural Cleaning Book – Our DIY Natural Cleaning Book has over 60 recipes for natural household cleaners that utilize the powerful cleaning benefits of essential oils. This would be a great companion to the Classic EO Starter Set. This category is especially for the mom who has everything or is just challenging to buy for. Homemade Terrarium – A DIY Terrarium is a sweet little project you can give to someone who loves having a little green in her decor. Beeswax Air Fresheners – These Natural Beeswax Drawer Fresheners look cute in your mother’s drawers and can also be used in the car, or anywhere else in the home. A Natural Laundry Kit – If your mom despises chemicals, she might enjoy a set of Wool Dryer Balls along with a jar of Homemade Laundry Booster Crystals and a DIY Natural Household Cleaners Book. Handmade Beads – Use our Natural Polymer Clay Substitute to make beads for a necklace, bracelet, or earrings. Natural Sleep Accessories – If your mom loves her sleep, a DIY Dream Pillow and a good book might tickle her. If you don’t sew, you may want to buy this one and add your own lavender flowers. Natural Beeswax Candles – These Homemade Natural Beeswax Candles are a great alternative to burning scented candles that fill the air with toxins. If you don’t have time to make them, you can buy some here. Need more ideas for homemade Mother’s Day gifts? Hello my question is do you make any sunscreens without all the additives? Any chance you make sunscreen?